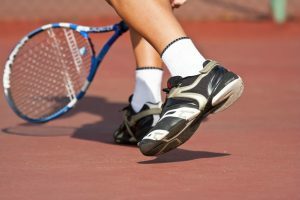 If you intend on playing tennis for any extended period of time, the comfort level of your shoes is very important. If you have any special needs for your feet, this comfort level becomes even more vital. The comfortableness of your shoes comes from two places. First, the comfort level is reliant on the supportiveness of the shoe. Second, the comfort level is dependent on the type of cushioning and shock absorption in the shoe. The major brands offer a wide variety of options when it comes to the comfortableness of the shoes. 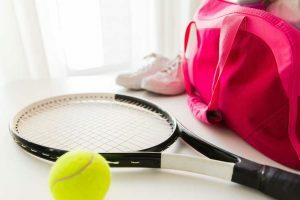 Depending on whether you are looking for a firmer support or a more cushioned foot bed, you will need different tennis shoes. 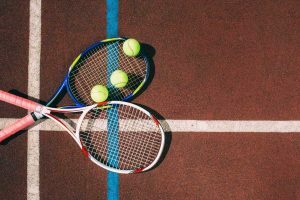 Although there are many options for comfortable tennis shoes for men, below are three of the top contenders. While the Barricade court tennis shoes have lots of padding that makes them comfy, they are also a sturdy shoe. The soles of the shoe are fairly flat so they are stable. Combined with the treads, these shoes will keep you upright and prevent sprained ankles. The one drawback to these shoes is that the ADIPRENE cushioning does deteriorate over multiple games. Because the cushioning does flatten over time, you will need to replace the shoes a bit sooner than other alternatives. 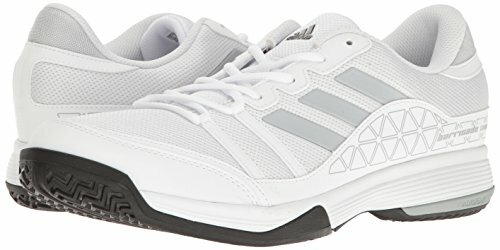 Even though they do have some drawbacks, the Adidas Performance men’s Barricade Court tennis shoes are a great comfortable tennis shoe. 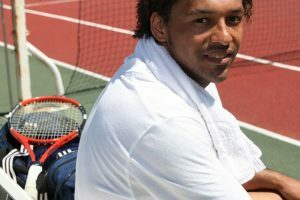 They are most suited for hard court players and are best for a casual tennis player as they do wear out faster than others. 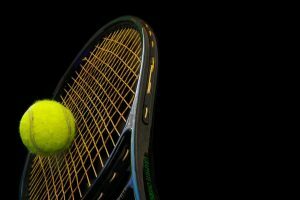 One of the things that makes these tennis shoes so comfortable is that they are flexible and lightweight. 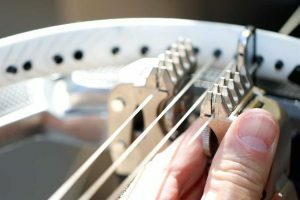 Because they have the Truss tic system (exclusive to ASICS shoes), they are lighter and more pliable while not sacrificing their structure. 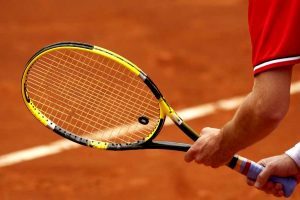 A primary drawback to the Gel-Game 5 tennis shoes is that they tend to run on the narrow side. Because of this, people with wider feet will not find them as comfortable and the support will be in the wrong places. 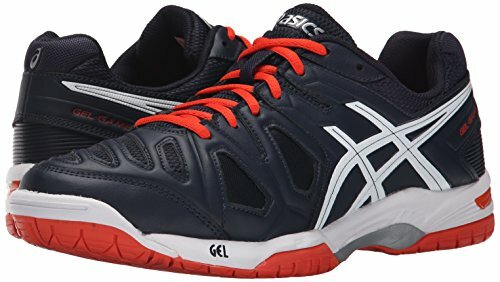 Overall, the ASICS men’s Gel-Game 5 tennis shoes provide a great lightweight tennis shoe while maintaining structure and support. They are best suited for people with narrower feet. If they are the right shoe for you, they will provide you with all day comfort and support. One of the biggest drawbacks is that the toe box, as it is reinforced, can be uncomfortable for more athletic games. If you have the correct sizing and socks, however, it should minimize this problem. If you are looking for a solid, firm approach to comfort, the New Balance men’s MC786 Cushion tennis shoes are a great options. Plus, since they come in wider sizes, they fit a different type of foot comfortably than the previous two options. There are a number of features that will make tennis shoes inarguably more comfortable. Many things, however, come down to personal preference and needs. 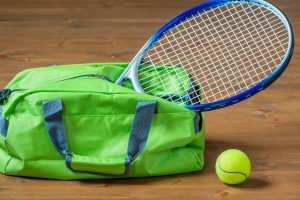 Depending on your needs, one of the three pairs of tennis shoes above should fit your needs. 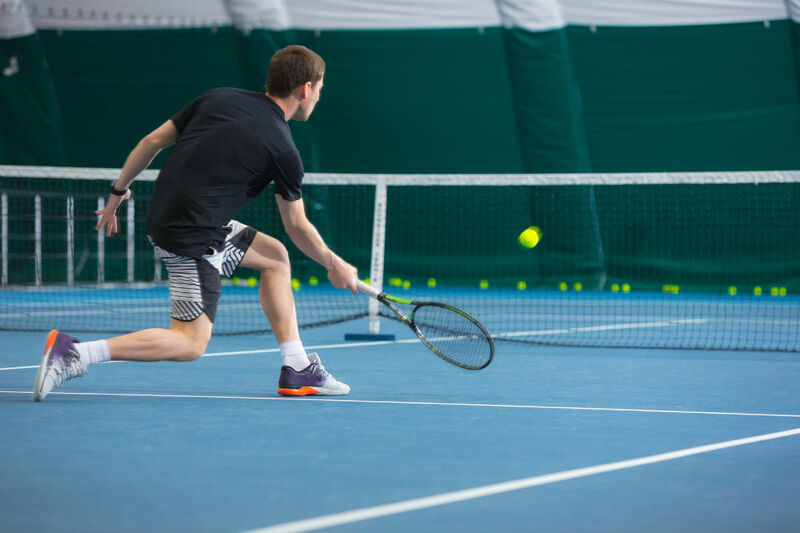 Whether you need a lightweight shoe, a stable shoe, or a supportive shoe, the three options are the most comfortable tennis shoes for men on the market.